#1. Understand your own finances. This is more than simply understanding what is going and coming out of your checkbook each month. This is understanding exactly what lenders are going to be looking for when it comes to your finances and your credit history. Get a copy of your credit report and a report of anyone else that may be applying for the home loan with you. Understand exactly what's going out of your budget each month and how much you can devote towards housing, repairs, maintenance and finance fees. 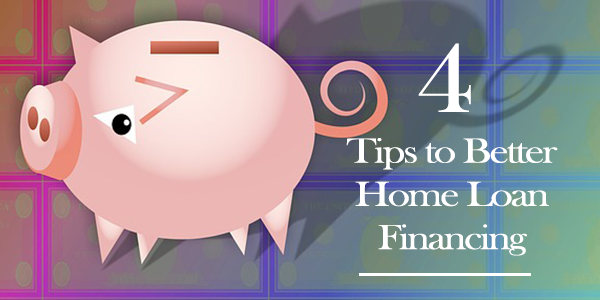 Understanding everything there is to know about your own personal finances alleviate any surprises that might come up from sitting down with a lender. Interest rates fluctuate greatly depending on the type of borrower you are and the type of loan you're going to get. Those with low credit scores typically get less favorable home loan deals than those with high credit scores. Improving your credit, even just a little, can lower your interest rate, which lowers your monthly mortgage payment. Truly contemplate where you plan on being within the next 5 to 10 years. Is the home that you're planning on buying going to maintain its value? Talk to your real estate agent about specific areas that might be increasing in value, however, agents are locked into equal housing rules and codes and cannot specifically tell you what's a good neighborhood versus what is a bad neighborhood. A recent article stated that homes near Starbucks, Trader Joe's and other popular markets and restaurants tend to increase in value more than homes not around these particular amenities. This might be something to consider when purchasing a home that you might sell within a few years. #4. Gather the necessary documents. In order to apply for a home loan, you can't just walk into a bank and have them run your Social Security number. You can find a lot of information by using this number but you really want to do your homework. It's important to gather any W-2s, tax returns, pay stubs, assets and liabilities and how much income versus how much debt you have incurred. As much information as possible to help the lender determine the best loan and program for your needs. If you're ready to get started on applying for a home loan contact me today. Not only will I help you find the right home in the Palm Desert or Palm Springs area but I can connect you with reputable real estate lenders to get you the best loan and the right deal.